The Mulsanne Speed is the most powerful four-door car in the world. 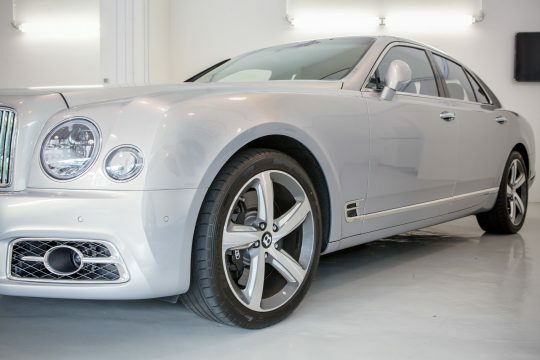 It features immense torque, thanks to a more enhanced version of Bentley’s mighty 6¾-litre twin-turbo V8 engine, and is built for the driver who appreciates the full potential of near limitless power. 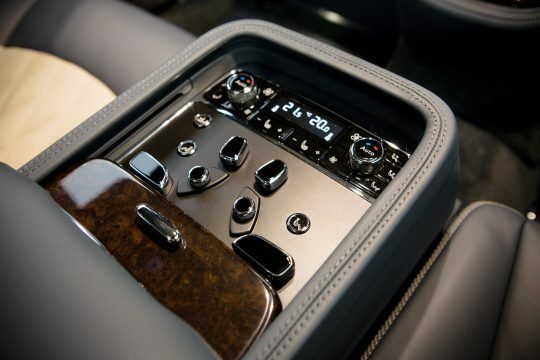 it is a car for those who prefer to take the wheel themselves. 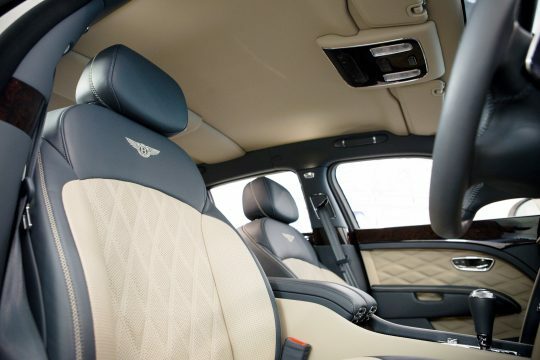 The Bentley setting gives the optimum balance between comfort and performance. 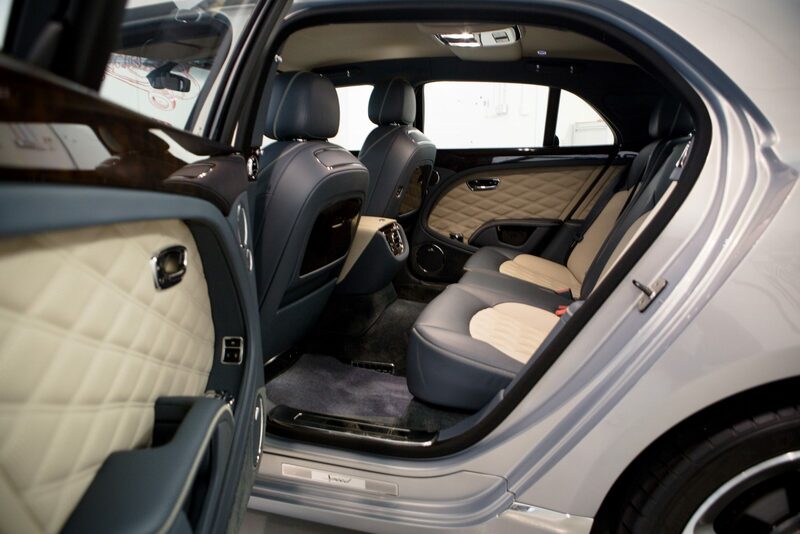 The Comfort setting provides the most refined and comfortable on-road drive imaginable. Whereas the Custom setting enables the driver to configure their own personal engine and chassis settings. 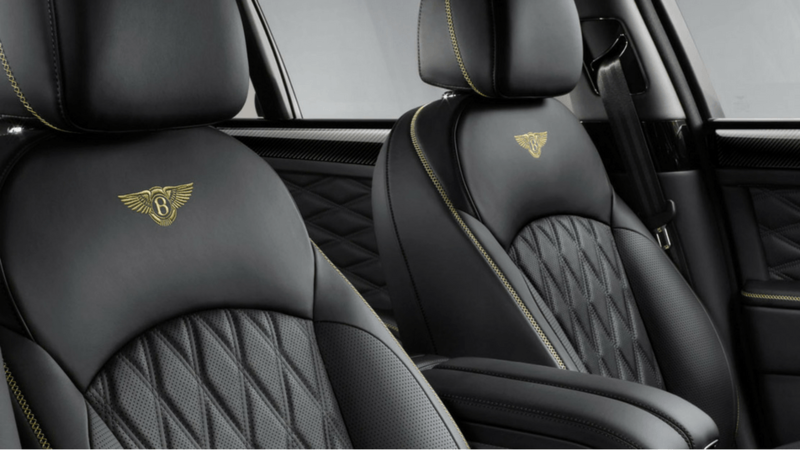 Bentley offers a range of personalisation options to help you make your mark on your Mulsanne Speed. 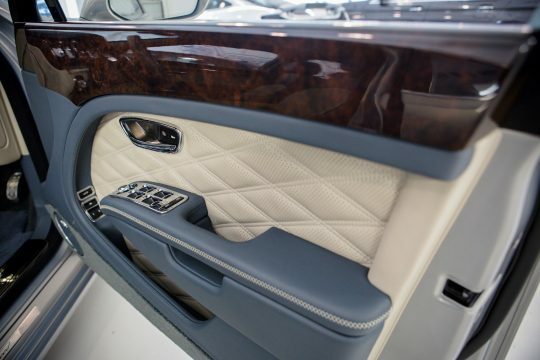 As well as the extensive range of personalisation options, including over 100 exterior colours, 11 veneers, 24 hide colours and 13 duo-tone options, there are additional ways to make your mark on your Mulsanne Speed. 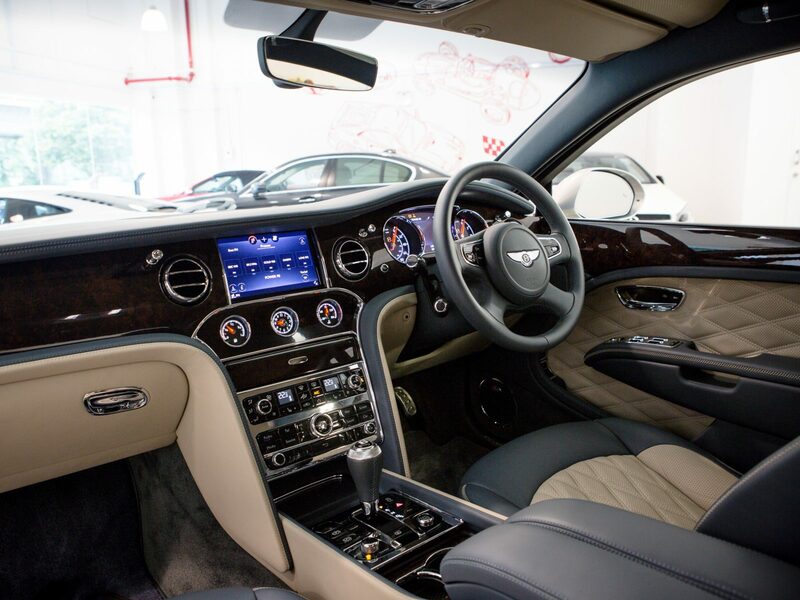 These include Bentley optional carbon-fibre inserts to waistrails that complement the Speed’s contemporary character. You could also opt for the Mulsanne Speed Premier Specification, which features 21" Mulsanne Speed wheel in dark tint or polished finish, the distinctive Flying ‘B’ radiator mascot, Jewel fuel filler cap and remote-controlled garage door opener*. 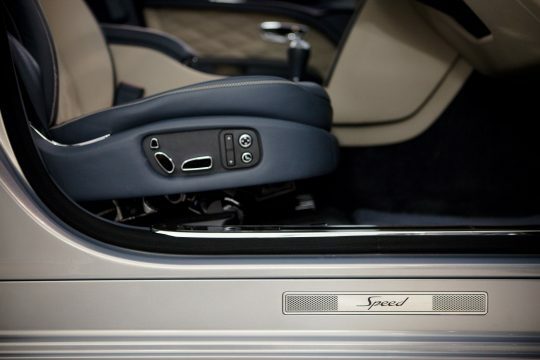 Also included are two city umbrellas, a valet key and veneered media drawer and minor gauges panel. 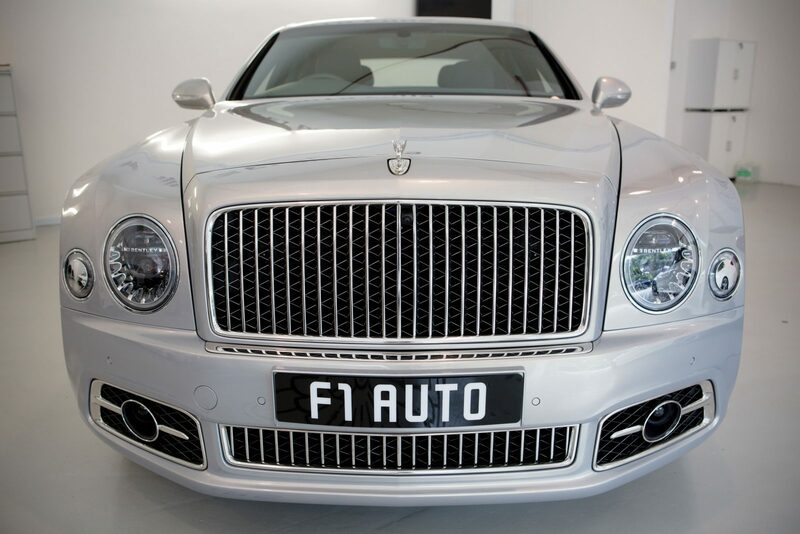 The Mulsanne Speed also benefits from features that further highlight its sporting abilities. These include diamond-quilted seats and door pads, knurled gear lever and drilled alloy sports pedals. A striking sports interior colour split with Speed stitch line and perforated hide also ensure the powerful and exquisite Speed remains unique.